In the best location both for the business and leisure visitors, located in the exclusive, central and historic area of Polanco. A few steps from a variety of restaurants, bars, museums, galleries, boutiques, parks and other amazing sites to see. Located on a quiet street both day and night and on the weekends. A few steps from the nightlife, cultural and gastronomic scene of Polanco but completely protected and isolated from noise and traffic that occurs in these parts of town. The apartment is very spacious, with high ceilings and a beautiful parquet floor. Decorated with a tasteful mix of original vintage furniture and contemporary design. It is a luxurious time capsule of the 40s in Polanco. Spacious and comfortable fully equipped kitchen. Gourmet supermarket across the street. Walking around the area you will find a mix between very beautiful and quiet streets mainly with houses and residential buildings, and main avenues with all the corporate builldings and select restaurants, bars, cafe's, boutiques and bars. Apartment very clean and beautiful. The area is perfect. I will recommend very highly this apartment. Thank you. I was happy to host Orlando and his family. They are great guests and took very good care of the apartment. Welcome back anytime! 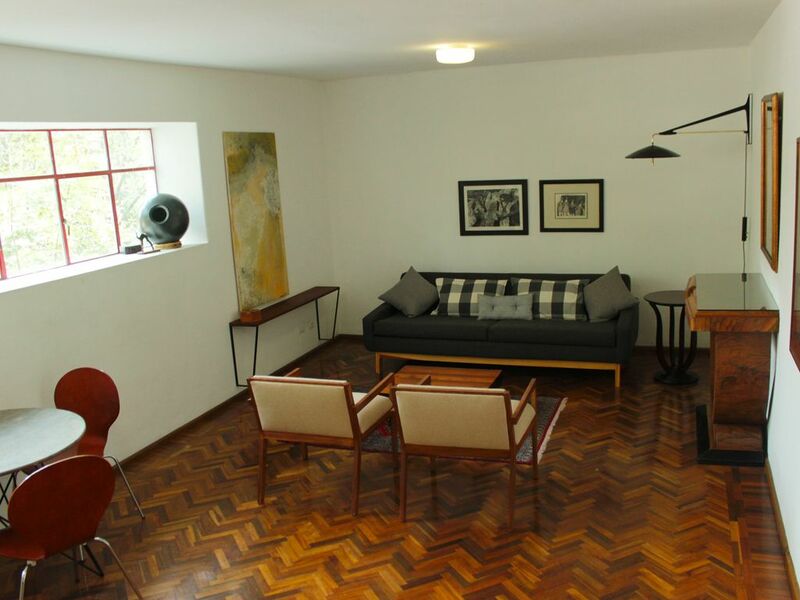 Very nicely renovated 2 BR pad in Polanco, classic '40s modern, comfortable, clean and quiet, convenient to everything. Leonardo is a gracious and helpful host. Highly recommended!